If you liked this show, you should follow The Magic Happens. Let’s welcome, Natacha Guyot to Tell Me a Story. 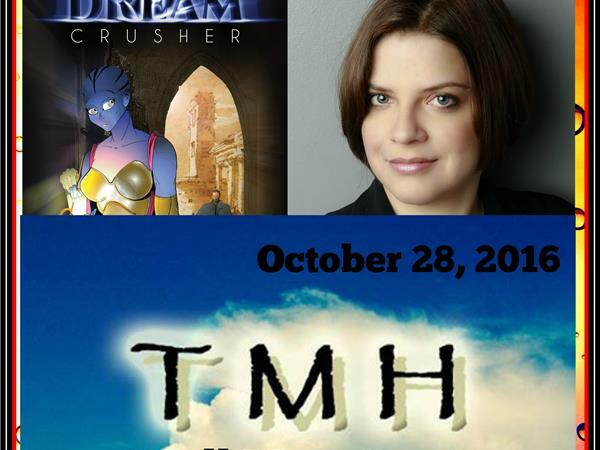 Natacha is a French researcher, author, and public speaker whose new Science Fiction novella, Dream Crusher, is coming out in Kindle and paperback format in November 2016. So, why does someone immersed in doctoral studies at University of Texas, Dallas, enjoy writing science fiction and fantasy stories? Stay tuned to The Magic Happens Radio Network today and we’ll find out! Be sure to visit Natacha Guyot http://www.natachaguyot.org where you’ll find the links to her books and social media sites. We invite you to FOLLOW us http://www.blogtalkradio.com/themagichappens where we post our upcoming programs and store all our downloadable podcasts.